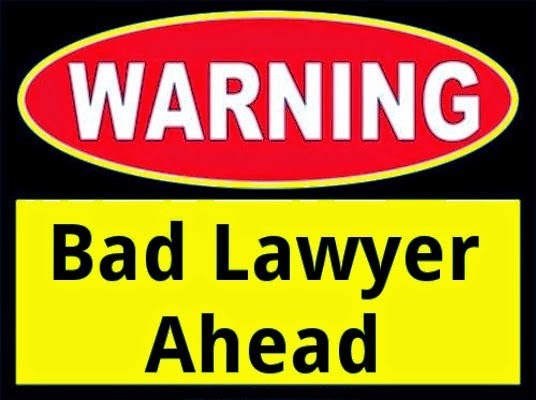 Better Call Saul and NOT David Aylor: Should this South Carolina Lawyer be in the "Defending Folks Accused of Crime" Business? 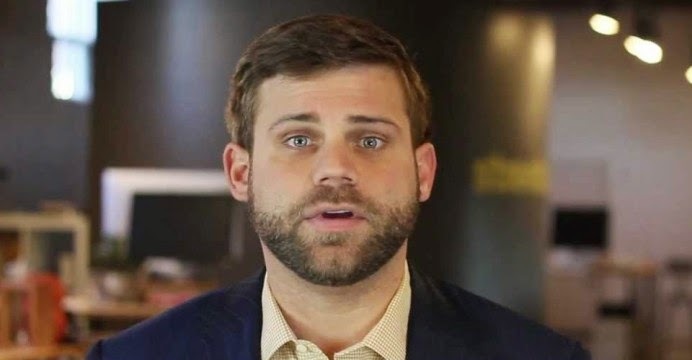 Most of you have heard of this self-made bag of douche (the one above - I make no judgement and reserve ruling on the guy pictured below) by now but, if not, then he (Aylor, above) is the South Carolina lawyer who initially accepted representation of soon-to-be-former police officer (and like to be long-term prison inmate) Michael Slager (who is pictured below). 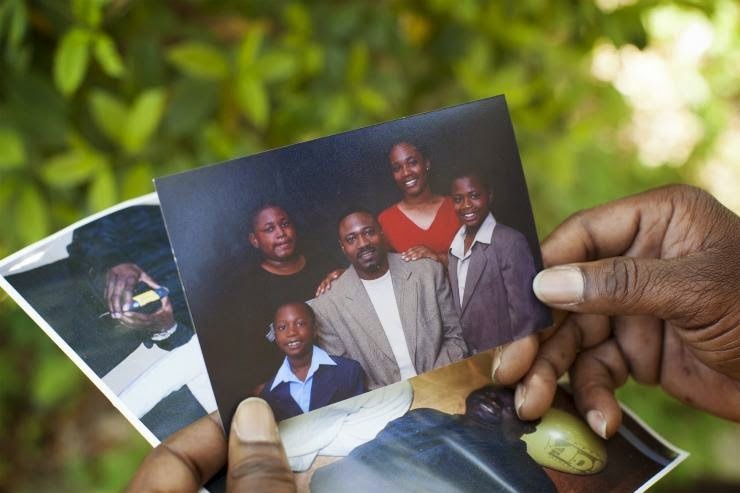 While on duty and in his capacity as a law enforcement officer Slager (above) shot and killed an unarmed civilian named Walter Scott (who is pictured below with his family). 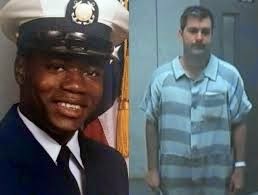 And, ironically, below is a picture of both the deceased-alleged-would-be-criminal (on the left) and the disgraced would-be-hero-cop (on the right). The irony in this case is on many levels (not just a cop who acted in a criminal manner - if for no other reason than by failing to be honest and truthful and instead choosing to "color" his version of events to suit his needs - and a citizen who apparently ran for reasons unrelated to criminality - it's claimed that Scott likely ran to avoid a child support warrant but neither had his own nor did he attempt to get control of Slager's weapon during either the flight or ensuing struggle) and in the end, sadly, there is nothing here but pure tragedy (another stain on law enforcement, a further fracture of race and police-citizen relations, a disgraced cop, a dead citizen and a grieving family) but the difference in this case from ALL of the others of it's kind, the thing that makes this particular cop-killing a real stand out, is that here there is the added element of a degenerate douchebag of a defense lawyer. 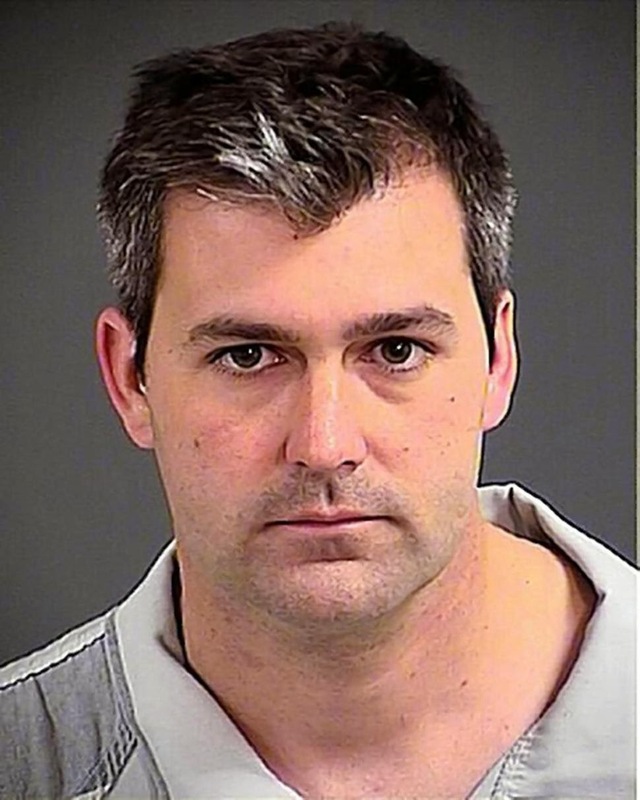 Regardless of what was said / claimed to have happened, and unbeknownst to both Slager and Aylor, his lawyer, some of the scene was caught on video by an independent source and the recording shows both an apparent lie and attempted cover-up of what now objectively looks to be an apparently unjustified homicide. 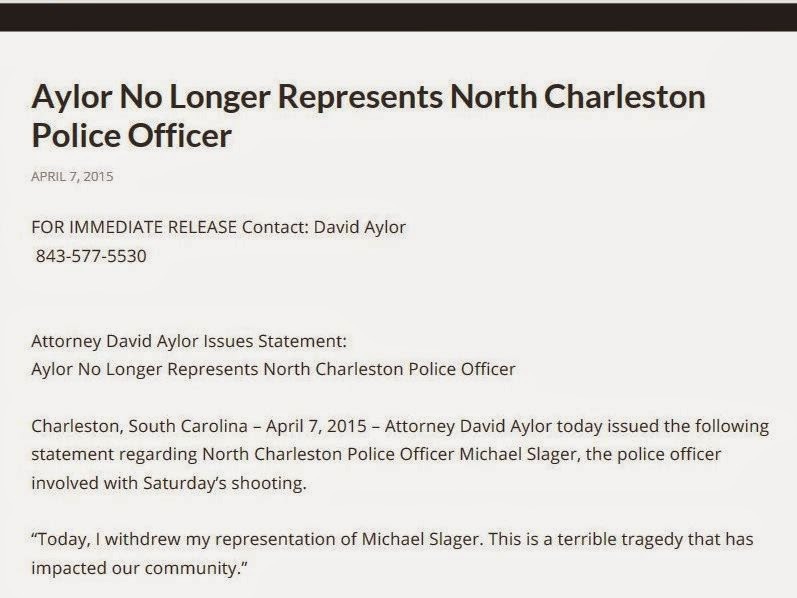 Not as tragic as the killing but comparably tragic, at least to the role of the criminal defense attorney, was Aylor publicly "withdrawing" from further representation of Slager immediately following the release of the video, and doing so by way of a "media circus". 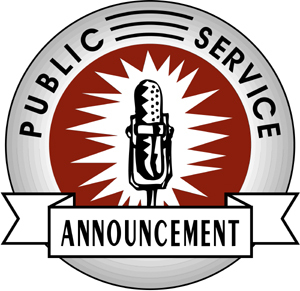 There is no doubt whatsoever that Aylor proactively used the press and Social Media to distance himself from his client immediately following release of the video (both the video of the shooting and Aylor's interview with the Daily Beast can be read here and Aylor's own personal "press release" is shown below. Still, it is important to remember - in fact it is the point for you, dear reader, to remember - that in this case as in most any other, stories / accounts / versions of events can and will vary, and evidence exists, continues to be brought to light, to be developed, is subject to interpretation and argument (more of it can be gleaned here) and the overall picture of any criminal case, this one included, is not unlike a drama, with specific roles being assigned to specific players. Because Harvard University Constitutional Law Professor Noah Feldman did such a perfectly effective job at laying out the reasons in his opinion-article (which this blog post links to and which is also linked here) I am not going to re-post either the myriad of reasons why what Aylor did (in publicly outing his client) was not only ethically and morally wrong but is also an affront to the Founding Father's vision, the United States Constitution and the Rules of Professional Responsibility (at least in Florida, which, from what I read in Professor Feldman's article are almost identical to those in South Carolina), but I will share a few of my own thoughts and experiences with you to highlight the point. I have been practicing law for almost a quarter of a century and my practice has always been centered around criminal defense. 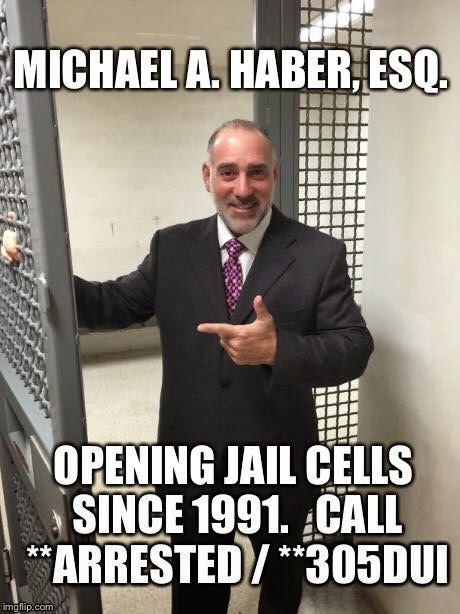 Although I have always been in private practice (having "hung my shingle" on the day that I was sworn in as a lawyer) I spent the first fifteen (15) years of my practice serving as a "Special Appointed Public Defender", representing hundreds of folks on a variety of crimes ranging from "simple" possession of cocaine and "vanilla" third degree felonies to armed robberies, carjackings, home invasion robberies and drug trafficking cases. 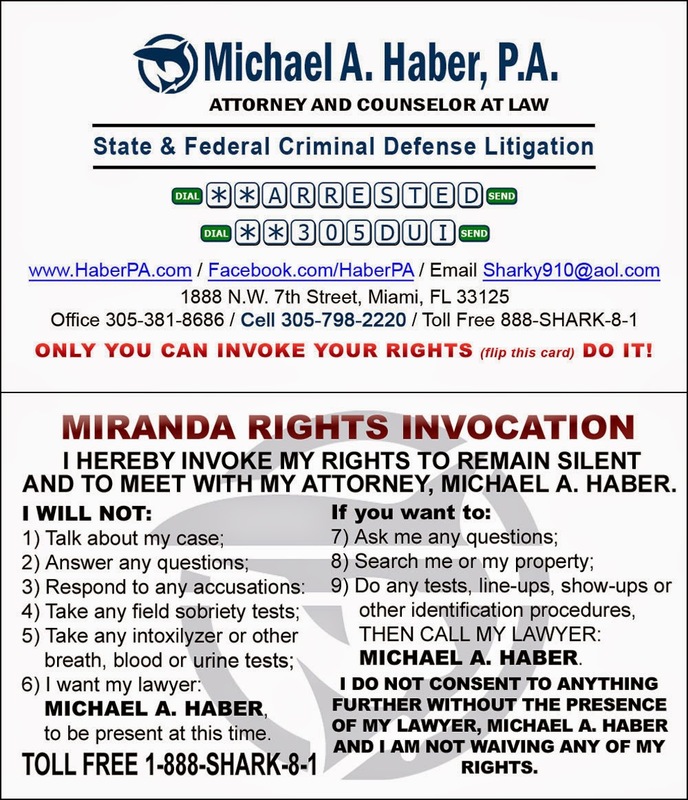 Adding in my private criminal practice and nearly a decade after of strictly private work (I offer up and provide pro bono (unpaid) service but no longer serve as a "SAPD") I have represented thousands of folks on matters ranging from simple traffic infractions to first degree murder cases. 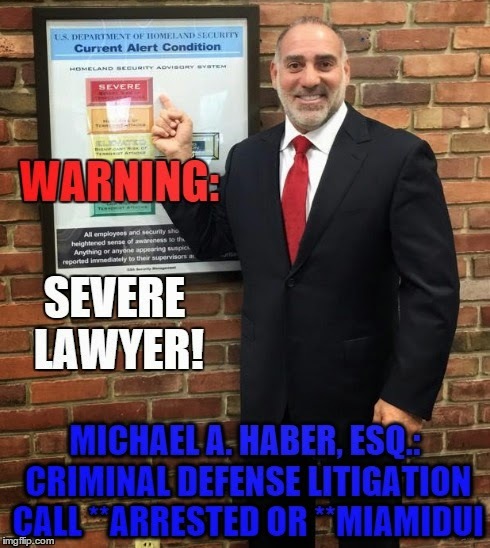 I have been interviewed by various media many times on both cases of my own and others over the course of my career, I "use" social media in my practice (ergo this blog - Michael A. Haber, P.A. 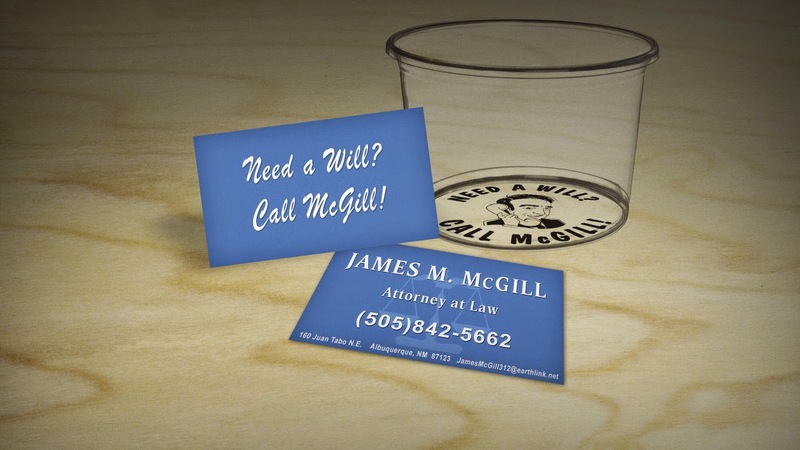 Criminal and DUI Defense Litigation Blog) and I have even brought the media into my cases on occasion, but whenever I have done so it has been to either benefit or to protect the client, and has always been done with the client's fully informed before-the-fact blessing. Why? Because that is how is is supposed to be: The lawyer works for the client and the lawyer protects the client. 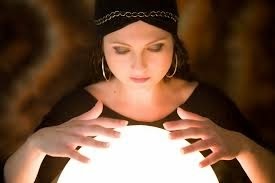 The lawyer cannot guarantee a result but must do his/her best to serve the client's interests. That's the job. Plain and simple. In this regard and in this case this particular this jack-wagon, David Aylor, committed an epic FAIL! 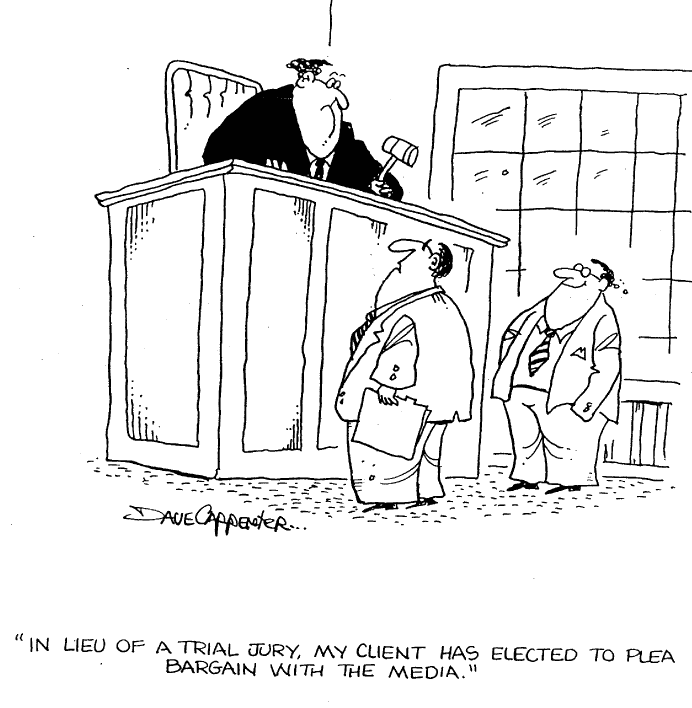 Here, Aylor intentionally chose to "use" the media to protect himself and NOT his client. Moreover, in distancing himself from his client Aylor most likely directly hurt his client by opting to take such a self-serving course of action. Memo to David Aylor: Leave the "judging" of your clients to the trier of fact and just do your job, to wit: protecting your client's interests (which, incidentally, you are obligated to do even if they should ever cease to be your client) and don't throw them under the proverbial bus at the first sign of guilt. If you can't wrap your brain around that then get away from criminal law and, if you manage to keep your license, start writing wills. 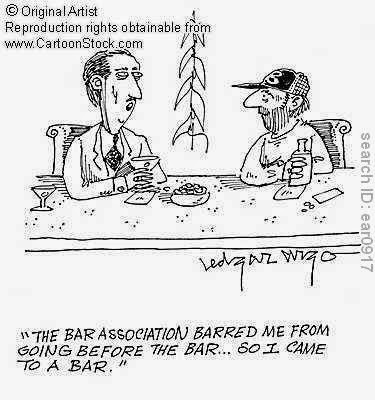 #Webisode #YouTube #VideoFAQ #AVVO #HaberPA #Arrest #Arrested #CriminalLawyer #CriminalLaw #CriminalDefense #CriminalDefenseLawyer #MiamiCriminalDefenseLawyer #CriminalDefenseAttorney #MiamiCriminalDefenseAttorney #CriminalAttorney #DUI #DWI #DrivingUnderTheInfluence #BUI #BoatingUnderTheInfluence #DomesticViolence #DV #DVRO #DomesticViolenceRestrainingOrder #Seal #Expunge #Sealing #Expungement #CriminalRecord #CriminalHistory #PSA #PublicServiceAnnouncement #BadLawyer #BarComplaint #BarGrievance #LawyerFAIL! #FAIL!